Structural Steel is often used to support or reinforce many components of a package boiler system including but not limited to the Forced Draft Fan, Deaerator, Economizer, Vent Silencer, Ladders, and Platforms. The Structural Steel is custom engineered for each project and the design is validated by a structural engineer to guarantee rigidity and robustness. The scope and quantity of structural steel varies widely for each solution and is optimized to minimize cost while maximizing safety. Boiler Foundation Plates are made of thick carbon steel sheet material and are custom sized and engineered for each project. They are placed between the boiler and the foundation to serve as the primary contact medium. Boiler Foundation Plates serve to firmly attach the boiler to the pad and minimize stress in by evenly distributing the boiler’s heavy weight over a large surface area. Constructed of structural carbon steel and fitted with all requirements mandated by OSHA, these boiler platforms provide personnel access to the front and rear of the boiler as needed for day-to-day operation and maintenance. They can be offered with a variety of coatings including but not limited to galvanization, paint, or primer and can also include optional safety features for added personnel protection. Constructed of structural carbon steel and fitted with all requirements mandated by OSHA, the burner platform/ladder and stairs provides personnel access to the burner controls and panel for day to day operation and maintenance. It can be offered with a variety of coatings including but not limited to galvanization, paint, or primer and can also include optional safety features for added personnel protection. Built with a structure of carbon steel, fan steel supports and reinforces the dynamic loads and stresses induced by the large rotating impeller. 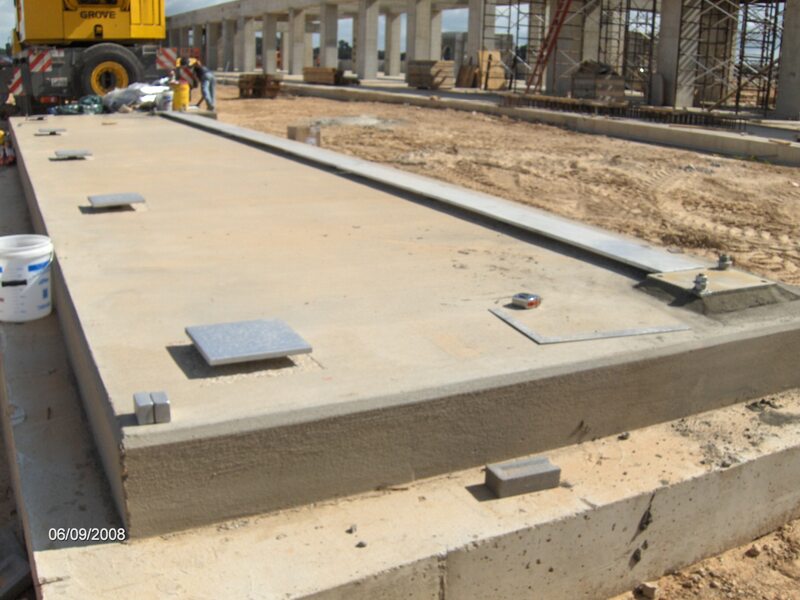 It is custom engineered for each project and is typically attached to a concrete pedestal or slab for stability. 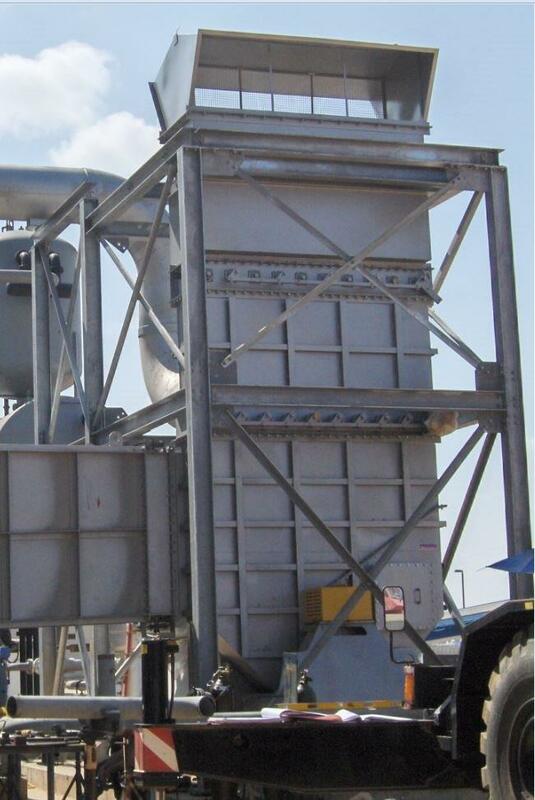 Accurately designing and installing fan steel is critical in guaranteeing safe and reliable operation of the Forced Draft Fan. The steel can be offered with a variety of coatings including but not limited to galvanization, primer and or paint. Constructed of carbon steel, economizer steel is used to support the economizer and associated ductwork in a way that positions it correctly relative to the boiler and stack. 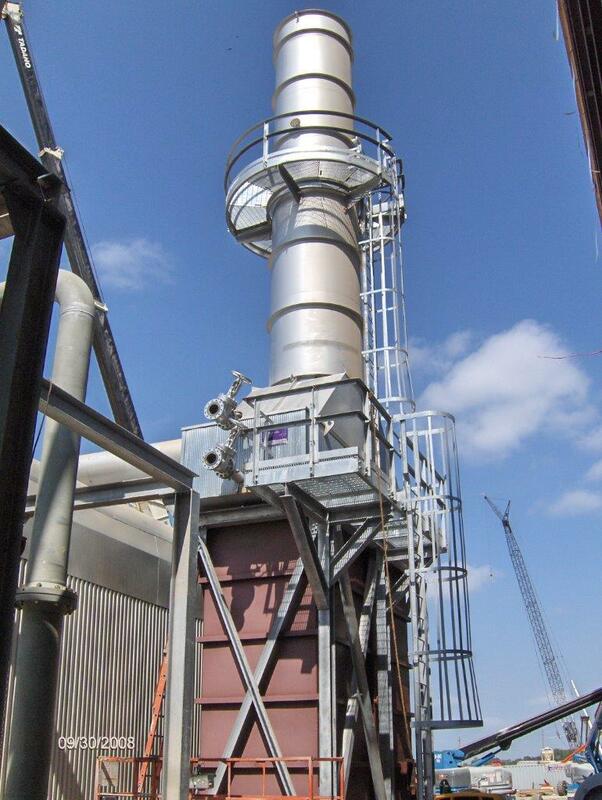 Some boiler layouts require an arrangement that elevates the economizer to a position high above grade, requiring an extensive support structure. Economizer steel is custom designed and engineered for each project to minimize cost and maximize safety. The steel can be offered with a variety of coatings including but not limited to galvanization primer, and or paint. Stack Ladders & Platforms are caged ladders and intermediate “rest” platforms that serve to protect personnel and minimize fatigue and injury while climbing. The number of ladders and platforms varies depending on the height of the stack. The most common purpose of Stack Ladders & Platforms is to provide personnel access to emissions monitoring ports near the top of the stack. All Stack Ladders & Platforms are designed and constructed to meet safety requirements mandated by OSHA. The steel can be offered with a variety of coatings including but not limited to galvanization, primer and or paint. 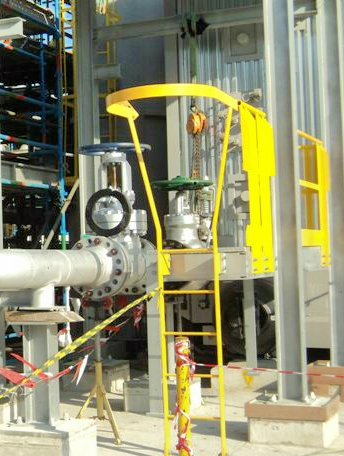 Steam Valve Ladders & Platforms are typically constructed of carbon steel and they provide personnel access to the steam valve for operational and maintenance requirements. The ladders and platforms are custom designed and engineered for each project and are constructed to meet the requirements mandated by OSHA. The steel can be offered with a variety of coatings including but not limited to galvanization primer, and or paint. 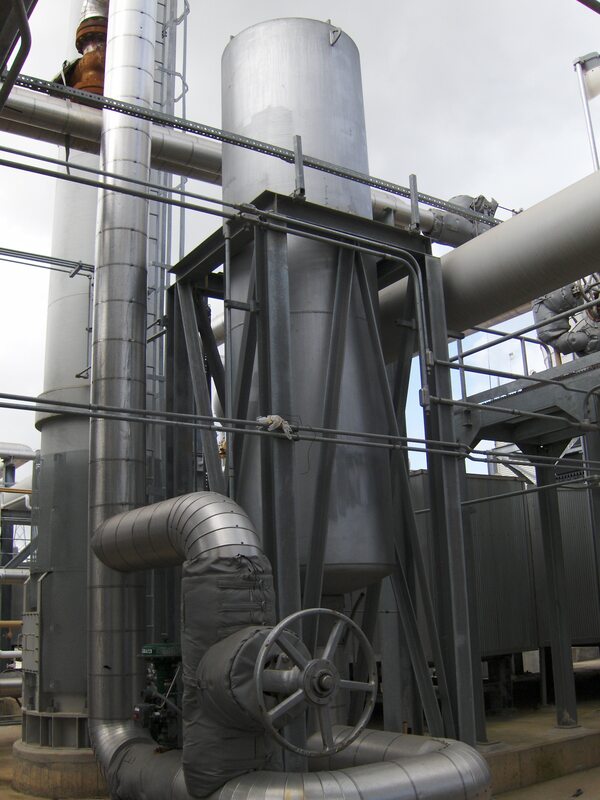 A common piece of equipment often included in a package boiler system is a steam vent silencer with a steel stand. This Silencer Stand serves to support, secure, and brace the steam vent silencer during the venting process. The stand is most commonly made of carbon steel and can be offered with a variety of coatings including but not limited to galvanization primer and or paint.